New to WordPress and curious how you would go about creating a new Admin user? No worries, we got you covered! Please follow the steps provided below. 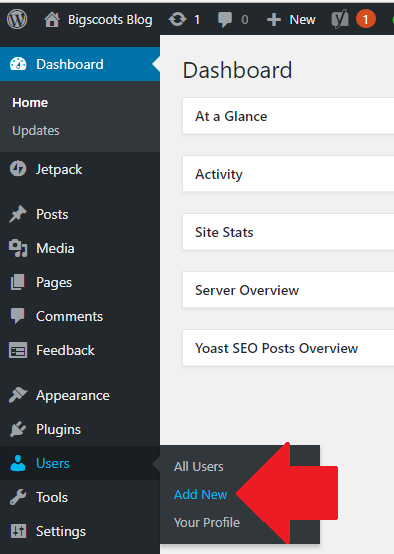 Once logged in, on the left-hand side, hover over Users and select "Add New". Now you need to enter in at the very least the Username and the email associated with the new admin account. One easy to overlook option is the Role, you have to click the drop-down and select Administrator. 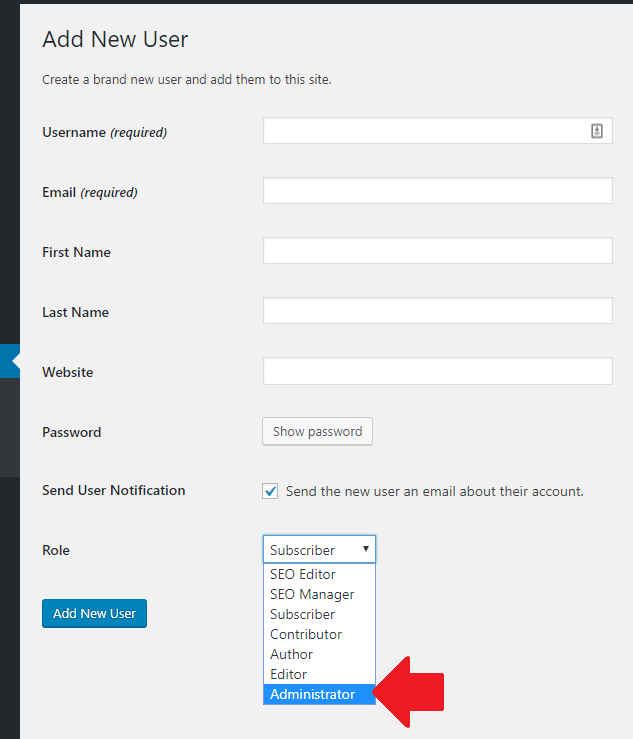 Once you've entered in the required fields, and selected Administrator from the drop-down, click "Add New User".